Our wedding limo drivers pay attention to detail and are some of the most respected chauffeurs in the DFW market.Working with a photographer or coordinating with the wedding planner they want to make sure your wedding limo trip is absolutely perfect. We have Lincoln stretch limos starting at $89 per hour plus 20% gratuity and a 3 hour minimum. 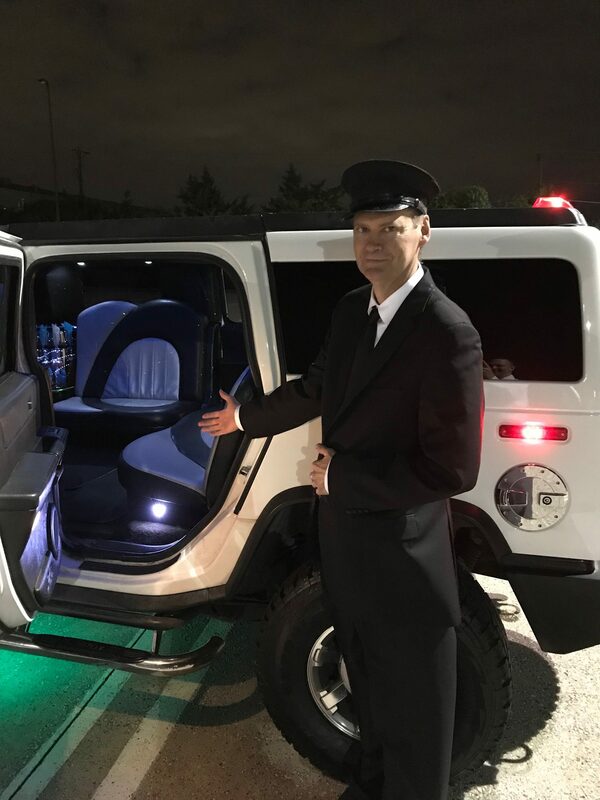 Hummer stretch limousine that seats 16 passengers for $125 per hour plus 20 % gratuity. If you only have 2 or 3 passengers we have SUV’S and Lincoln Town Cars for your special day. We use only the top notch chauffeurs in the limo industry. Your wedding day is a once in a life time event and we know that. We want to make it right for you. Call today 214-621-8301. Hummer Stretch Limo Seats 16 Passengers.